Over the weekend I had the privilege of attending a Nigerian Fundraising Banquet. This event was called I CELEBRATE MY SISTER in recognition of the strength of mothers, sisters and daughters as pillars of the Nigerian community in Leeds. This even is marked annually with a unique and joyous inimitable celebration event, which I must say went really well and it being my first time attending one, I absolutely had a fantastic time. Anyway, before I go on a tangent, I was really stuck on what to wear for this occasion…Basically I just wanted something new to be honest and knowing that it was a Nigerian themed occasion, an ankara outfit befits it. 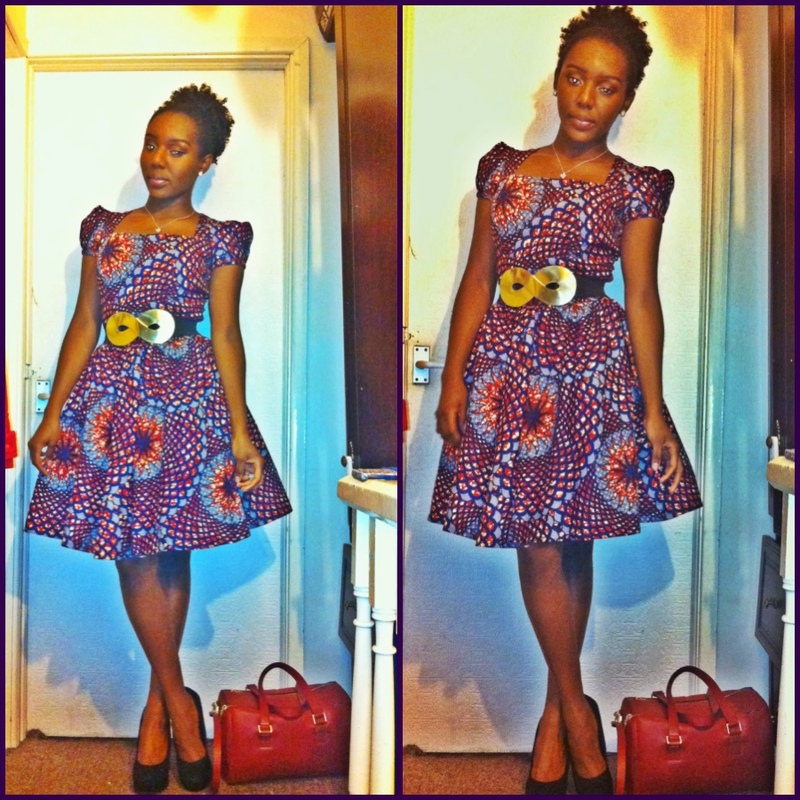 Therefore I hit the market in search of ankara/chitenge fabric. Initially, Boo was not for the color but I love the colour purple so yes I got a purple one.Choosing a design for this was not as easy as I thought it would be only because I kept on changing my mind. However, due to the love I have for skater skirts and dresses I decided to choose a skater dress pattern and the tailor did a brilliant job I must say and I did get quite a few compliments which totally put a smile on my face. The food was amazing from the likes of Jellof rice, egusi soup, okra soup, pepper soup, kpoff poff( vitumbuwa i.e in Nyanja), pounded yam the list is endless. Last but not the least the music aaaah!!! Naija people don tire, we danced all night even got tired of dancing. I love Nigerian music.